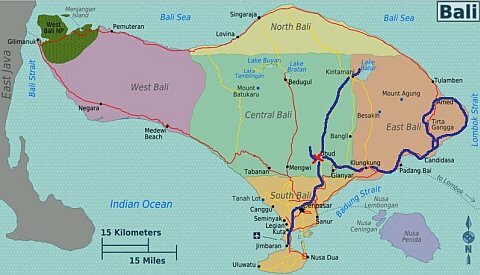 Bali is just a 2-3 hour flight from Singapore but somehow, I had never visited the island. So with some annual leave to clear and some good people (R, T and YC) joining for the trip, I made my maiden trip to Bali. We visited the places and took the roads shown in the map below. On our forth day where we rode an eastern loop to Ahmed on motorcycle, I tracked the journey on my Garmin GPS receiver. So if you are interested in the routes in GDB format, just leave a comment on this page and I will send the download link to your email address. You can also download very good maps from Cloudmade which makes Garmin compatible maps from OpenStreetMap data. Disclaimer: This trip was taken in March 2012. The information is provided ‘as is’ with no warranties and confers no rights. If you are interested to know more, please add a comment and I will update the post with more details. 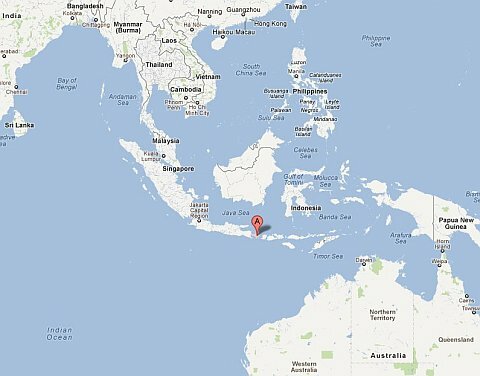 This entry was posted in Indonesia, Motorcycle Adventure Vacations by atticus. Bookmark the permalink. wooww.. I can’t wait your journey in my country!